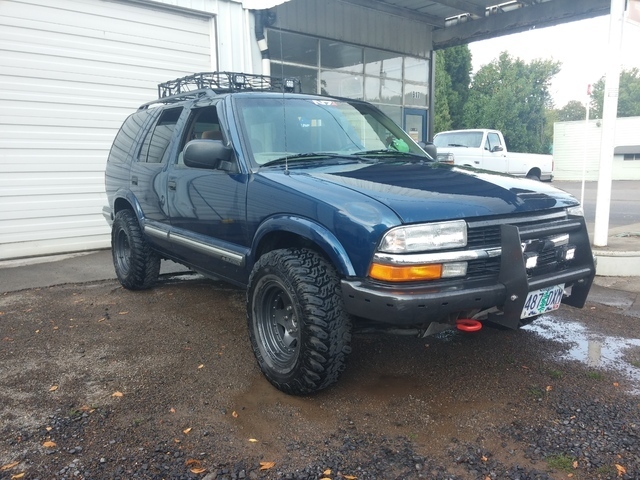 Here's my 99 Blazer 4x4 4 door LS! I just lifted the front via Torsion 1.5" and the rear with shackles in an attempt to help my tires not rub soo much while turning. 1.5" did actually help a lot. 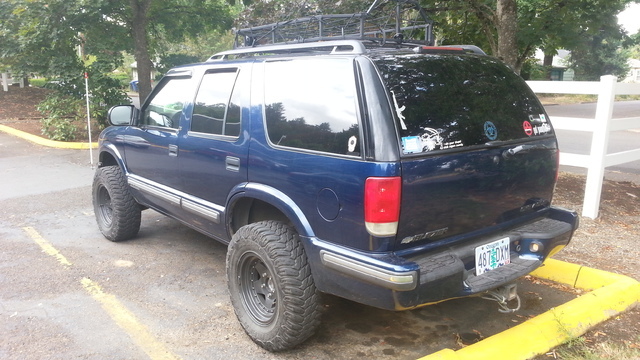 I did need to cut a small amount from the rear of the front fender well but the tires fit much better. They are only 30's but with the backspacing of 4" on my wheels and 1.25" adapters to make them fit, they rubbed really bad before this lift. 4 in back space rims with 1 1/4 adapters equals, my guess 2.75 back space. On a truck that needs six. Soo you raised it up above limit and hacked the fender a little for tire clearance. And now you want longer upper arms to align the thing. There is a trend happening here. 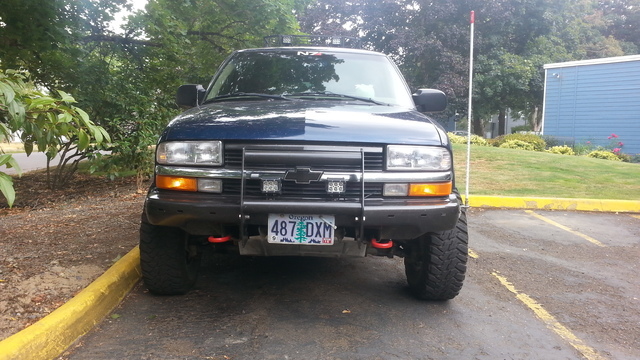 But I do like the red bumper hooks. 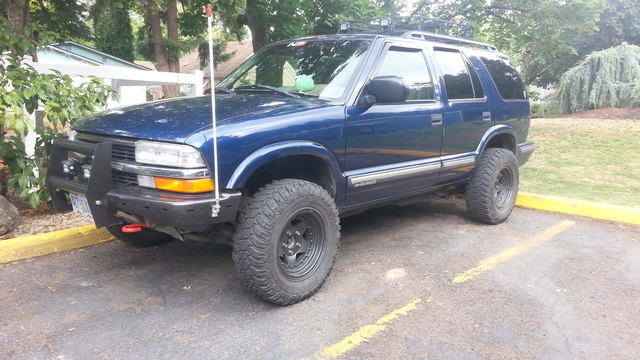 2" body lift + 2" shackle lift SHOCKS?